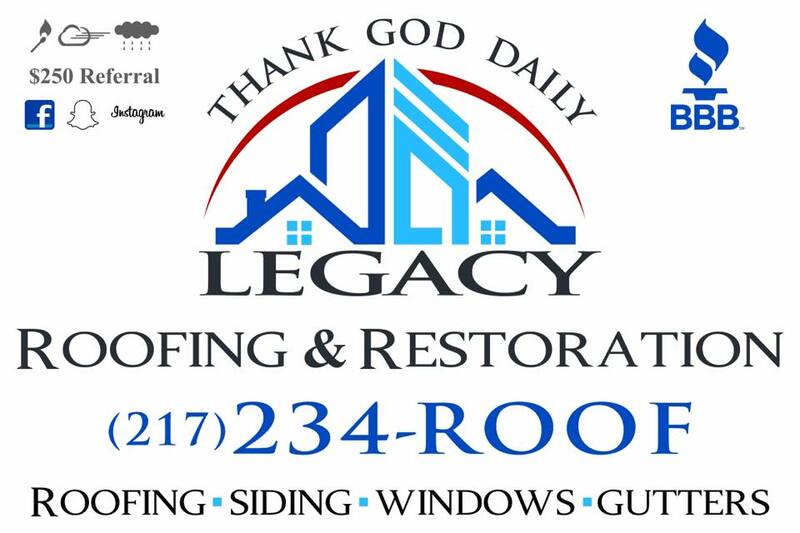 We proudly announce the 2nd Annual Trivia Night graciously sponsored by Legacy Roofing and Restoration! 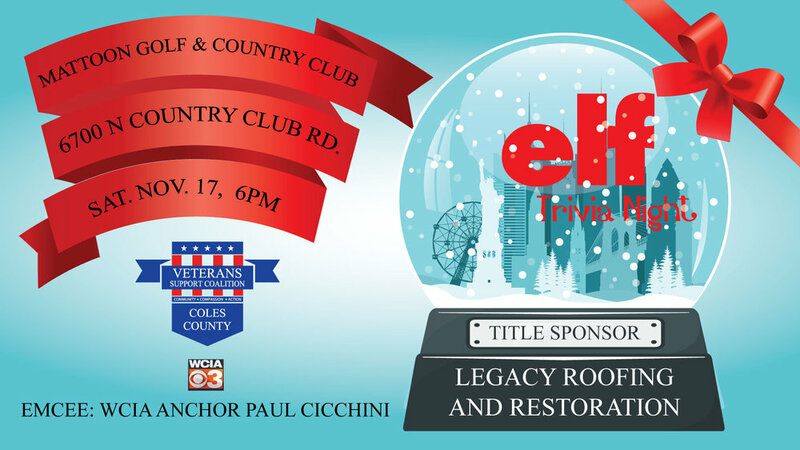 We encourage you to test your knowledge of the Christmas classic "Elf" and contribute to a great cause…the Coles County Veterans Support Coalition! Tickets are required and must be presented at the door for entrance to this event. Registration for the event and ticket payments must be paid no later than November 7, 2018. The admission per person is $35.00 and you must have a team of 8 to participate! • Access to the best silent auction items you have ever seen!! Submit payment and names of your team members using this web page. Please have the names and email addresses of the members of your party available when purchasing tickets so we can provide a receipt of purchase for you. If team members are paying for there admission separately ensure you have a team name picked out so we can get them at your table. Mail the names of your team members along with a check made out to Coles County Veterans Support Coalition, PO Box 171, Mattoon, IL 61938. You will then receive your tickets for each team member you paid for. Be sure to let your other team members that they need to pay for there admission. We will collect the names of your participants, arrange your payment, and ensure delivery of your tickets. Need extra insurance for your score each round? You can purchase up to TWO mulligans per round. Mulligan purchases will be CASH ONLY and will be accepted at the judges table when you turn in your scorecard for tabulation at the end of each round. Mulligans will only be applied to for up to two incomplete or incorrect answers. If you have a perfect score during a round, and you purchase Mulligans, those Mulligans WILL NOT buy additional points. The most points any team can earn per round is 10. THE PURCHASE OF MULLIGANS ARE NON-REFUNDABLE. TICKETS ARE NON- REFUNDABLE AND NON-TRANSFERABLE. 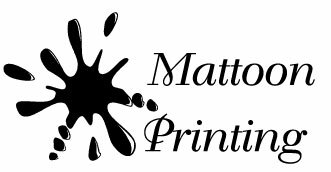 We will contact you for logo file.